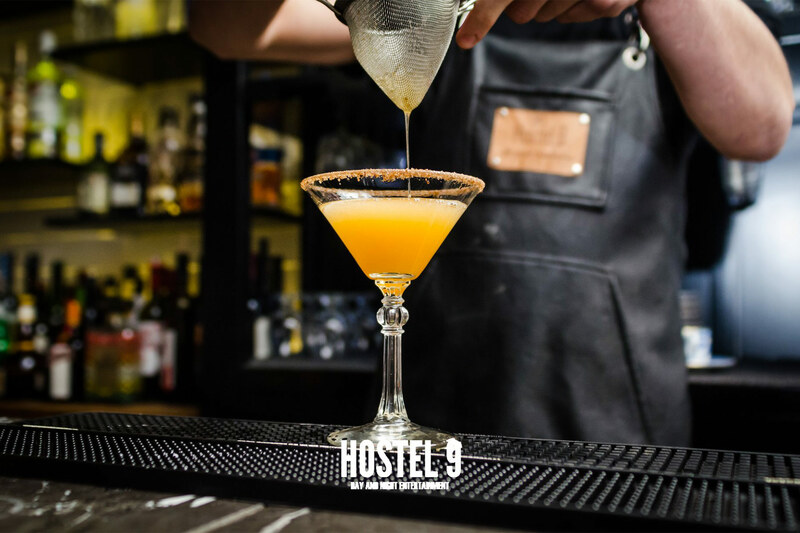 Hostel 9 Day and Night Entertainment is one of the most talked about cocktail bars of Thessaloniki. It is situated in the city center, right next to the beachfront and it has been awarded twice by the top competitions FNL 2017 and Shaker Trophy 2018. 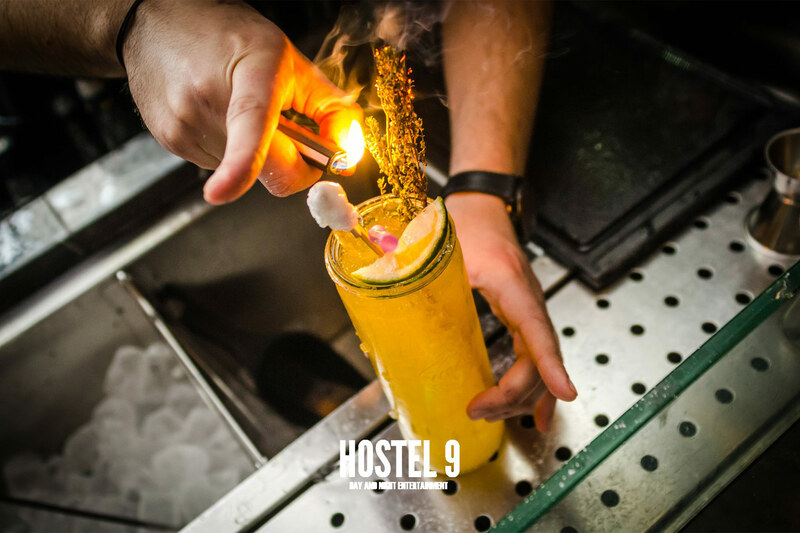 In Hostel 9 you are going to drink innovative cocktails which unfold the New cocktail culture. You can choose from a wide range of signature cocktails for every taste, a perfectly updated wine list and a champaign list bound to satisfy the lovers of the kind. 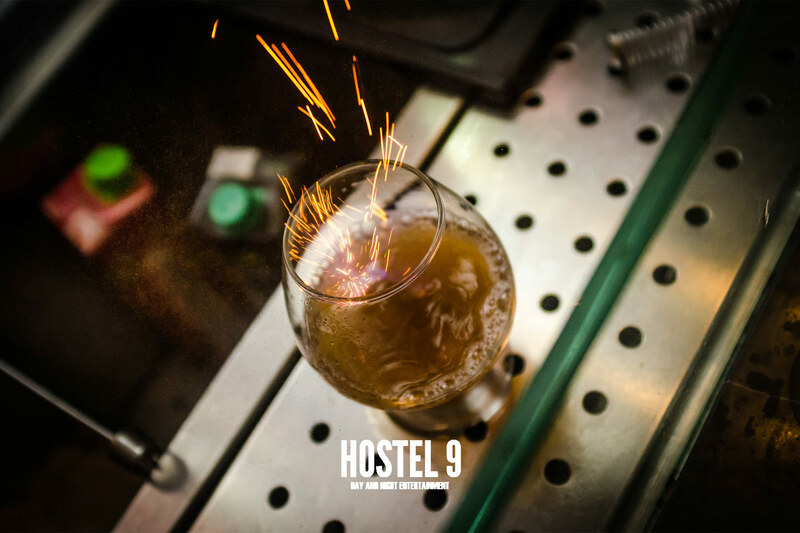 In case you want to grab a quick bite, in Hostel 9 you can find delicious fingerfood suggestions throughout the day, while until 5 in the evening you can choose your brunch, prepared for you with special care. 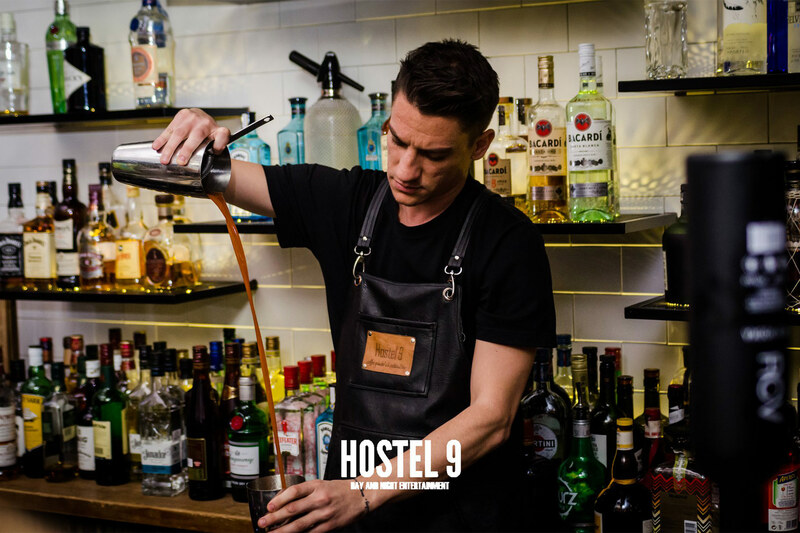 Entertainment at Hostel 9 starts each morning since the early hours, with specialized barristas grinding fine varieties of coffee and suggesting new ideas that will lead you to a new coffee experience. 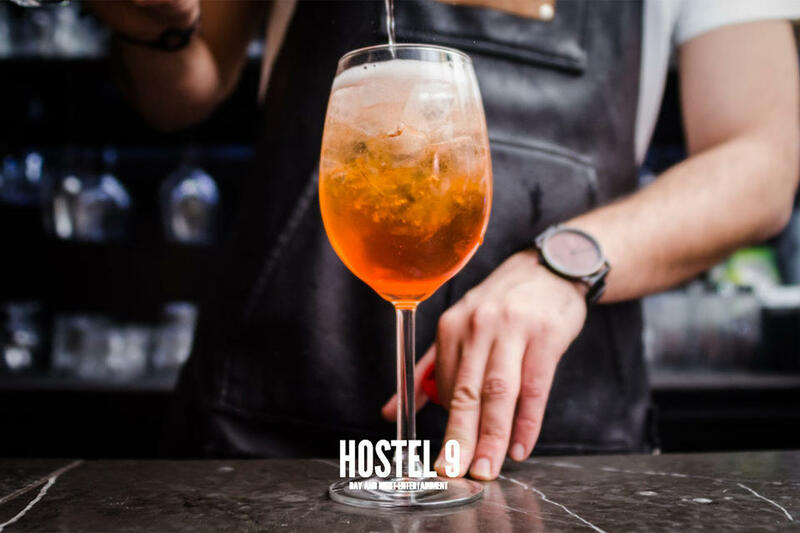 When the night comes you will meet the best faces in the city, who fanatically choose Hostel 9 for its innovative and awarded cocktails and for the special events, organized regularly.